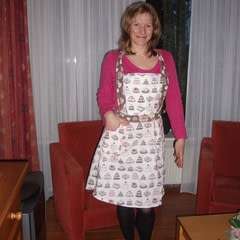 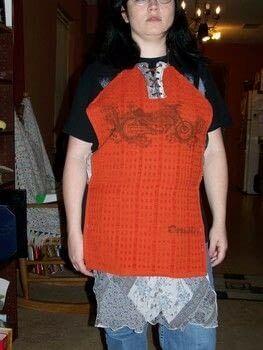 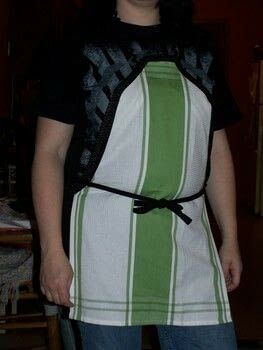 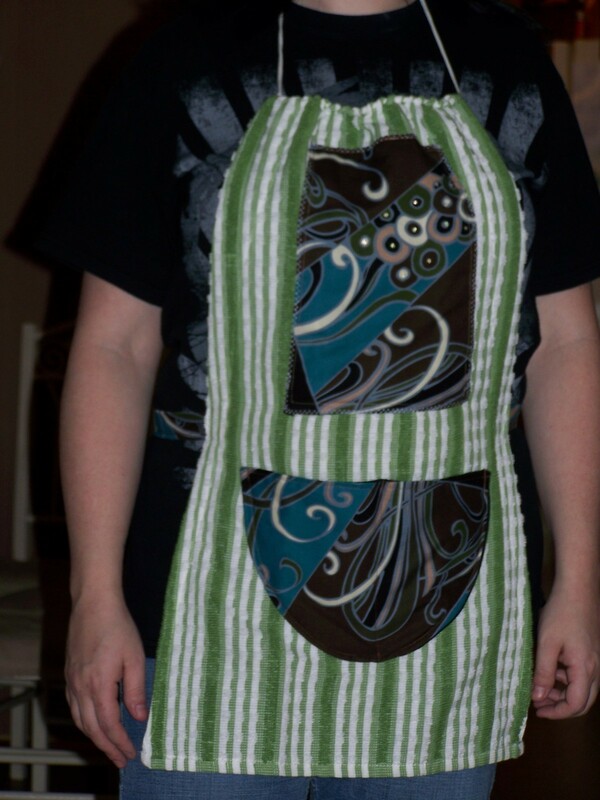 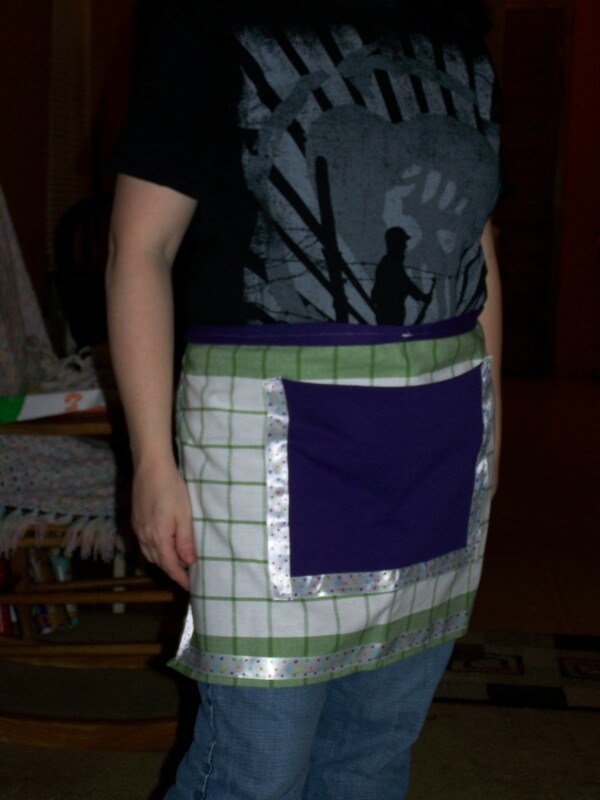 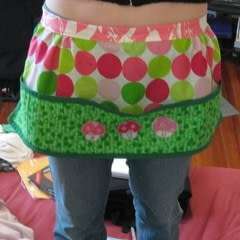 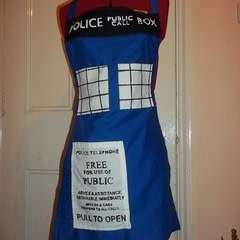 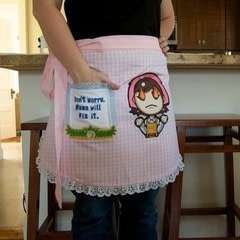 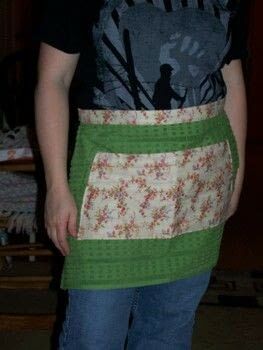 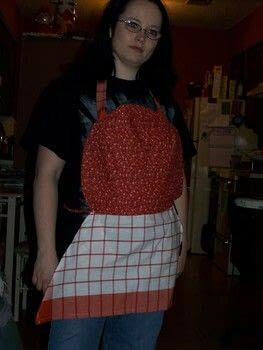 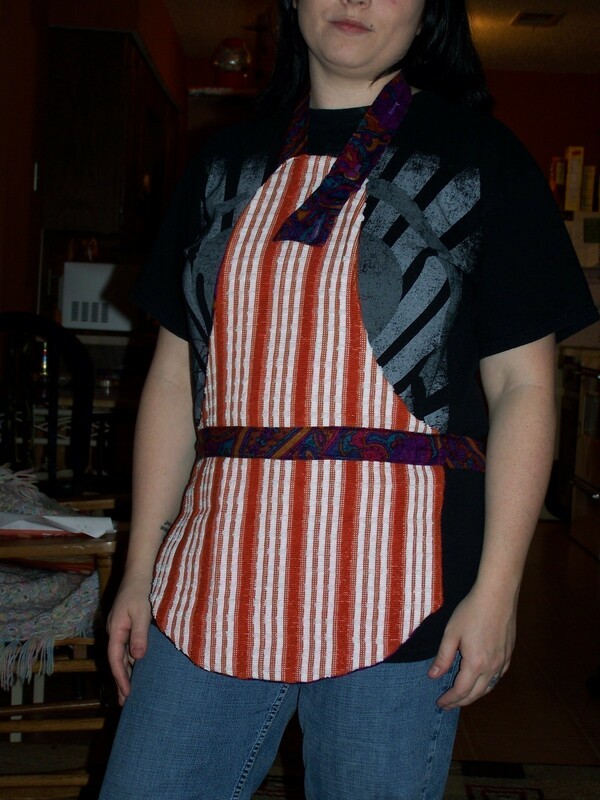 Dishtowel Aprons · A Full Apron · Sewing on Cut Out + Keep · Creation by Tracy L.
Dish towel, gift, anything goes. I bought two packs of dish towels from Walmart on clearance. 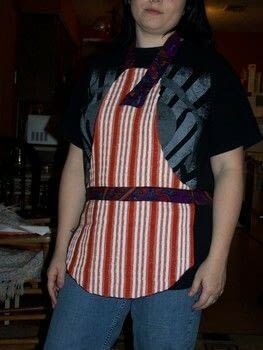 I just played around with shapes, trims, and other coordinating fabrics.